Lockhart Security maintains relationships with several CCTV and Video Security Solutions companies. Our regular provider of CCTV and Video Security Solutions have been providing both the hardware and software systems to setup complete Video Security Solutions. Our complete Video Security Solutions include technology such as cameras, recording systems, storage devices, access control systems and intercoms. 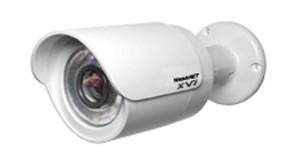 We carry a large variety of CCTV systems perfect for businesses of any size. Call us for more information!